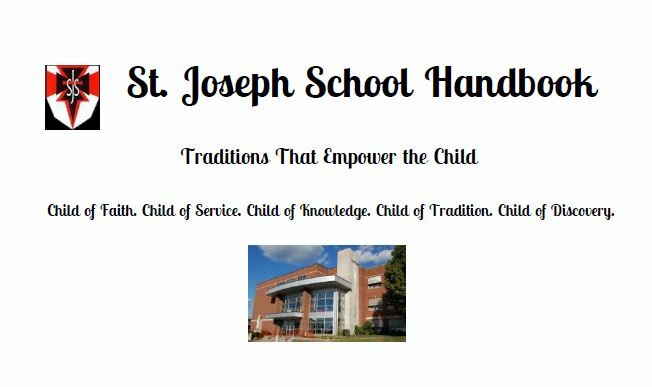 St. Joseph School is a Catholic School. All students are instructed in the basic beliefs of Catholicism and Christian morality, and are expected to participate in all religious activities. Children receive the Church sacraments: Reconciliation, Eucharist, and Confirmation. The entire student body participates in daily prayer and attends monthly scheduled liturgies and liturgies to celebrate special occasions and feast days. Special grade-specific liturgies are held for students, parents, and grandparents and on those days the special guests are invited for lunch.